The mining sector has emerged to be the highest foreign export earner of merchandise exports in Rwanda, since it commenced in the early 1930s. According to the statistic report of 2018 the export of Cassiterite amounted to $149 million, a huge potential of gold mining and export as well as wolfram and Colombo tanlite (Colton) has emerged recently. Rwanda has largely been underlained by the Kibaran Orogeny rock system. Consisting of basement and mezoproterzoic rocks that have been intruded by many generations of mafic and granitic rocks. 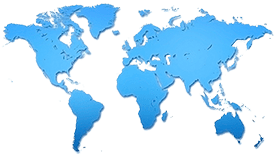 A large metallogenic province is formed, containing a number of granite related ore deposits rich in mineral ores namelyAiPO4(F,OH),Amlygonite(Li,Na),Si206,(SnO2),Cassiterite,Niobotantalite(NbTa)205,Colombo-tantalite or Coltan, Wolframite, FeMn), beryliumWO4, cassiterite(SnO2),Si206) monazite (Ce,la,Nd,Th)Po4, gold(Au), etc . Present in different types of mineralization. These minerals occur as primary or as elluvial or alluvial deposits’. Internally recognized as iTSCi project a sealing and mineral tagging scheme has been adopted by Rwanda to ensure that the origin of the mineral can be tracked. The exercise gained currency after signing the Dodd-Frank act which was signed into the law by the US president in 2009 baring conflict of the minerals from gaining access to the US market. The Minister of the state of Rwanda Evode Imena told the US house of Representatives that Rwanda must be considered as a conflict-free mineral country. During an over two hour hearing entitled Dodd-Frank held five years later, questioning If we had learned anything from Conflict Mineral Reporting? he voiced it at the subcommittee of the United States House of Representatives in Washington D.C. Explaining, how Rwanda is working to ensure its minerals are conflict free, Imena said that the country had made great strides by developing a mineral traceability programme. 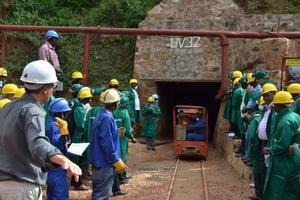 Significant efforts are being made by Rwanda to clean the mineral supply chain. He told the US lawmakers that 100% of the 3T Minerals, Tin, tantalum and tungsten that are mined in Rwanda are traceable right from the mine site up to the point of export. Under section 1502 of Dodd-Frank Rwanda was lumped together with nine other countries hampering its efforts to improve despite all that had been accomplished, applying the one-size-fits-all regulation they were all put in one group which was not only an impediment to efficient implementation of the regulations, but also failure to recognize the efforts made and challenges faced by individual countries, he added. Since there is no conflict in the country of Rwanda the given costs associated with complying with the law should not apply to Rwanda. His submission was based on the Dodd-Frank Wall Street Reform and Consumer Protection Act also referred to as (Dodd-Frank) signed into the federal law by President Barrack Obama on July 21, 2010.